It has begun! The cyber week deals are starting, and I couldn’t be more excited! 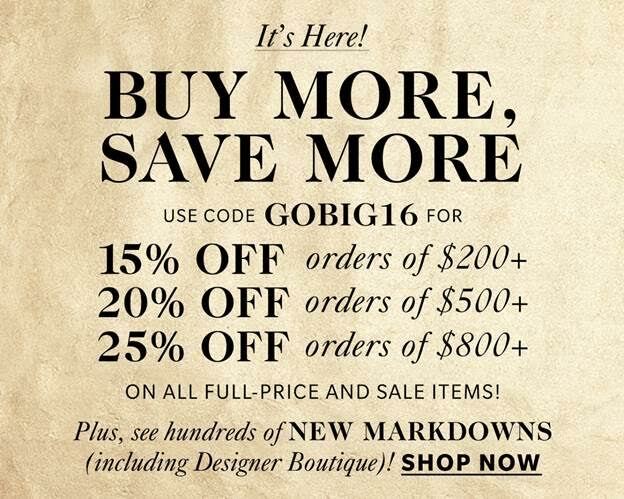 Shopbop is starting out the week with one of my favorites – the Buy More, Save More Sale! You can score up to 25% off your purchase, and the more you spend the more you save. It’s a perfect time to stock up on those pricier items for the holidays and be rewarded with a discount when you spend more. 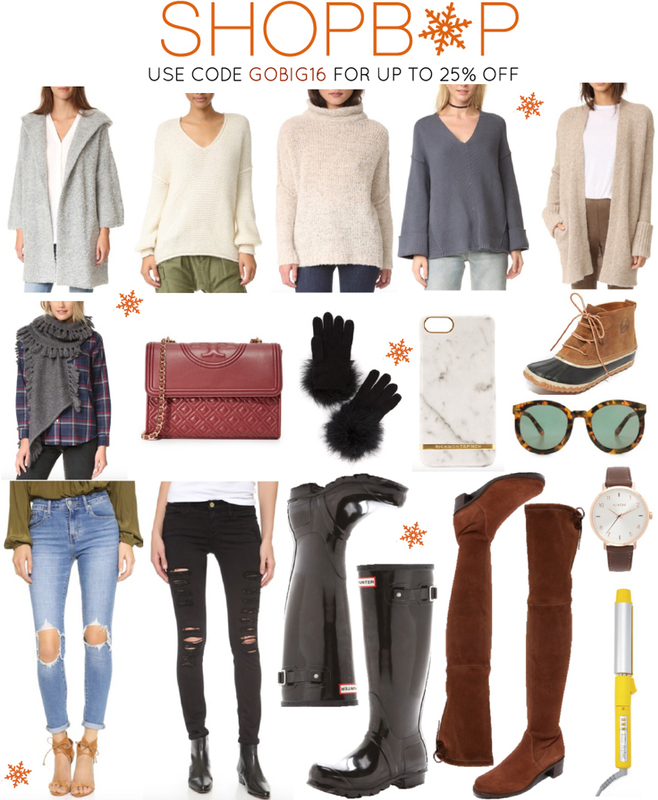 From Hunter boots, to essential distressed denim (just ordered! ), or a marble iPhone case – this a great time to stock up on gifts for everyone! OR, if you want to just treat yo’self to a little Tory Burch crossbody or super soft cashmere cardigan – now is the time. The sale is live until next Tuesday, November 19th! Shop it all HERE.